The Australian Songwriters Conference is committed to providing quality services to you and this policy outlines our ongoing obligations to you in respect of how we manage your Personal Information. This Personal Information is obtained in many ways including interviews, correspondence, by telephone and facsimile, by email, via our website www.australiansongwritersconference.com, from your website, from media and publications, from other publicly available sources, from cookies and from third parties. We collect your Personal Information for the primary purpose of providing our services to you and for marketing. We may also use your Personal Information for secondary purposes closely related to the primary purpose, in circumstances where you would reasonably expect such use or disclosure, for example, providing information to our suppliers (venues, caterers, ticketing agents etc) for the purpose of delivering events and activities to you. You may unsubscribe from our mailing/marketing lists at any time by contacting us in writing. We do not generally collect sensitive information. We may ask you for sensitive information such as gender or dietary requirements for the purpose of delivering appropriate share accommodation or meals during events and activities you have booked with us. 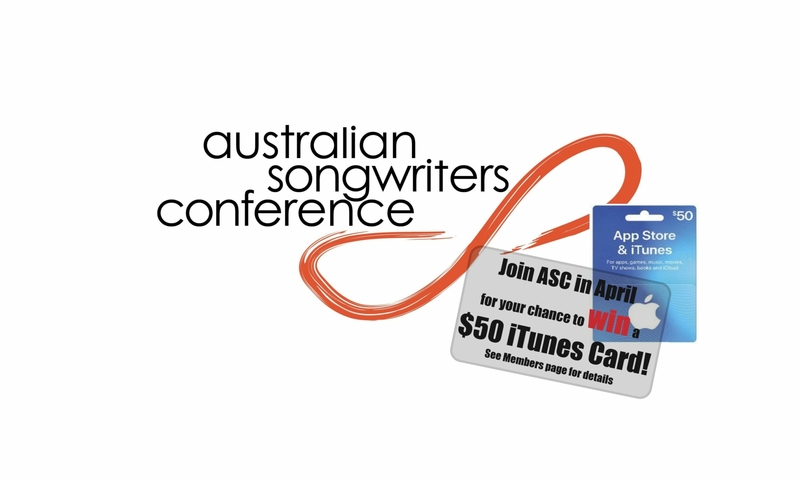 The Australian Songwriters Conference will not charge any fee for your access request, but may charge an administrative fee for providing a copy of your Personal Information. This Policy may change from time to time and is available on our website. The last policy update occurred 4 March 2019.